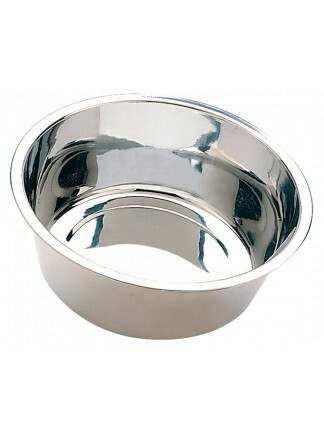 3 quart stainless steel bowl is hygienic, heavy duty, rust resistant and dishwasher safe. 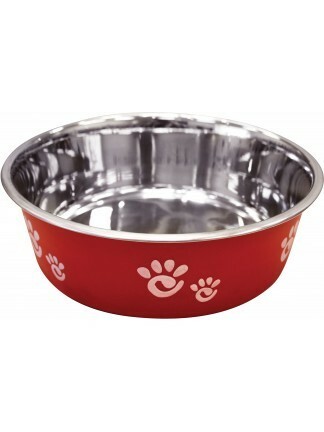 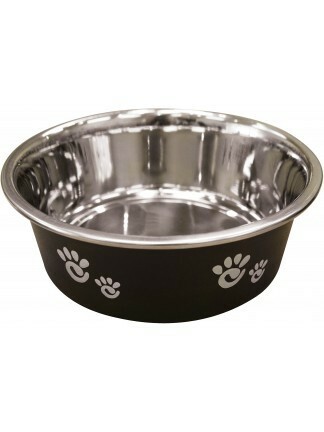 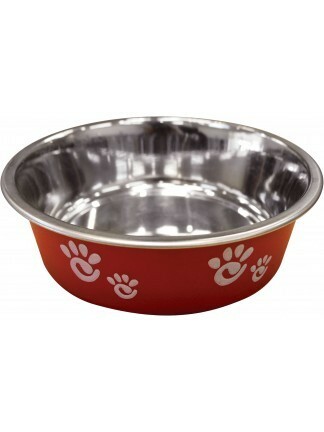 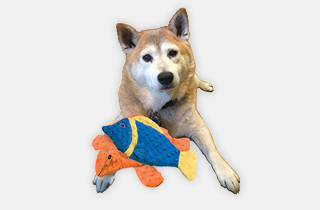 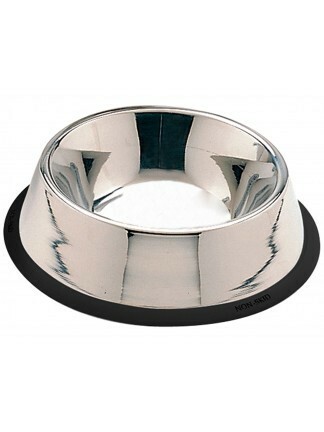 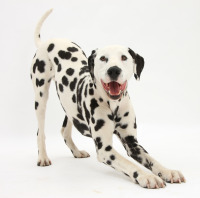 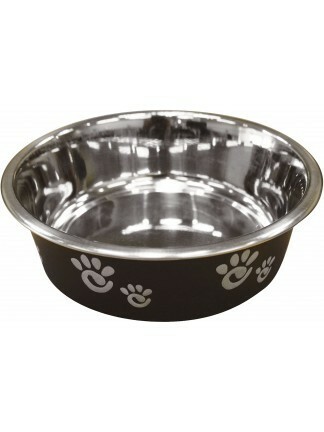 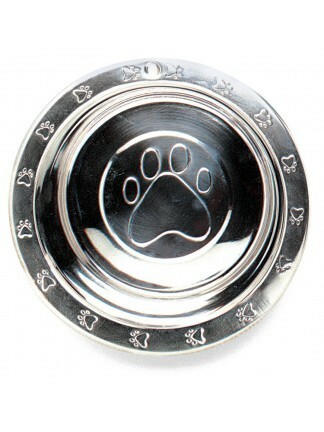 5 quart stainless steel dish is embosses with a paw print and wide rim. 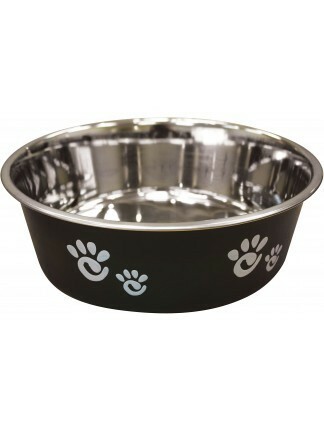 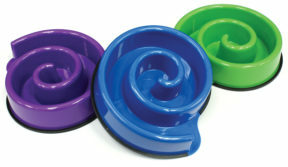 All stainless bowls are hygienic, heavy duty, rust resistant and dishwasher safe. 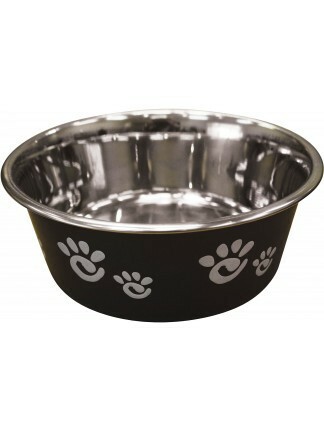 64 oz stainless steel no-tip bowl is hygienic, heavy duty, rust resistant and dishwasher safe. 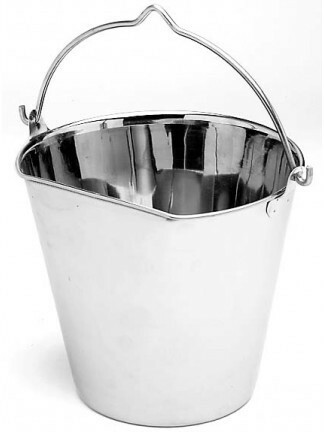 6QT FENCE PAIL S/S FLAT SIDED OUR NEW FLAT SIDED STAINLESS STEEL PAIL WITH NOTCHED HANDLE HANGS FLAT AGAINST A CHAIN LINK FENCE OR WALL. 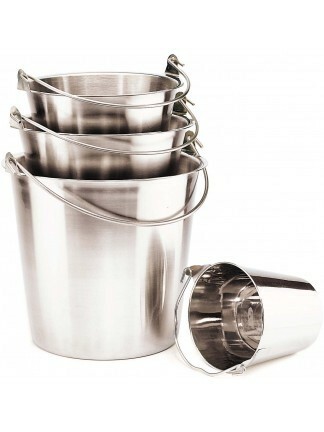 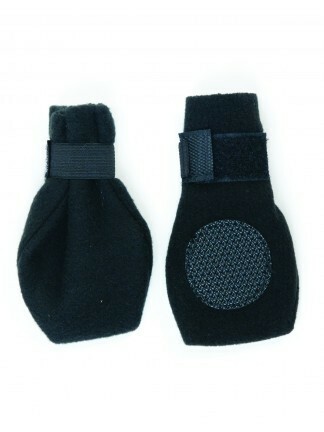 9 QT.S/S KENNEL PAIL W/HANDLE DESIGNED FOR USE IN KENNELS, HOSPITALS OR IN-STORE USE. 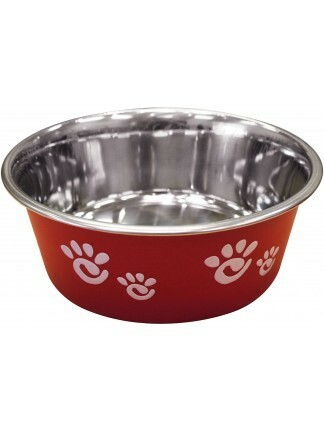 96 oz stainless steel no-tip bowl is hygienic, heavy duty, rust resistant and dishwasher safe.